CalHFA celebrated its 40th anniversary in 2015, and is looking forward to Year 41. The Agency was signed into existence by Governor Edmund G. Brown Jr. in 1975, after some fairly dramatic political maneuvering by Assemblymember Pete Chacon and Senators George Zenovich and George Moscone during the previous Reagan administration. Over the course of four decades, CalHFA's goal has remained the same: to create and finance safe and affordable housing throughout California. The Agency has created videos, timelines and articles describing its history and the challenges it has overcome. We've also put together tweets and Facebook posts under the hashtag #CalHFA40 to educate the public about Agency accomplishments. On October 6, the Agency also held a 40th Anniversary-themed State of the Agency meeting and staff appreciation picnic. The event included a look back over the last 40 years, goals of the coming fiscal year and a celebration of everything the staff has achieved. If you'd like to learn more about the creation of CalHFA, and see a fascinating perspective on California's political process during the mid-70's, take a look at Michael J. Bevier's Politics Backstage: Inside California's Legislature. More than 49,000 families took advantage of the California Homebuyer's Downpayment Assistance Program (CHDAP) since its inception in 2002 when voters approved Proposition 46. After more than a dozen years of helping Californians make the American dream come true, however, the funds were finally exhausted. This gave us a challenge: how could we continue working with first-time homebuyers in an always-challenging market, while maintaining our commitments to both responsible lending and using funds to help as many as possible? The solution to our challenge has already shown to be remarkable: The new MyHome Assistance Program has helped more than 1,000 families move into their first home since it was launched in early October 2015. We accepted the last CHDAP reservation on September 24, and launched a brand new program only seven business days later. MyHome increases the amount of assistance to a maximum of 5% of the sales price, up from 3% under CHDAP rules. When you combine it with our CalPLUS with ZIP first mortgage, first-timers can get up to 8% toward down payment or closing costs. MyHome carries a very low 3% simple interest rate, and we kept one of the best features of CHDAP: all payments are deferred for the life of the first mortgage. We hope that MyHome is even more successful than CHDAP. Although the bar is pretty high, there's always need for more affordable housing in our state; we'll help another 49,000 families before we know it. CalHFA's Multifamily lending programs and technical assistance played a pivotal role in preserving 100 low-income senior apartments in beautiful Pacifica, California. The Ocean View Senior Apartments were originally built in 1973, and were bought by National Church Residences in 2000 when the city requested the purchase. The acquisition was meant to preserve the location's affordability in a coastal area where affordability was rapidly dwindling. 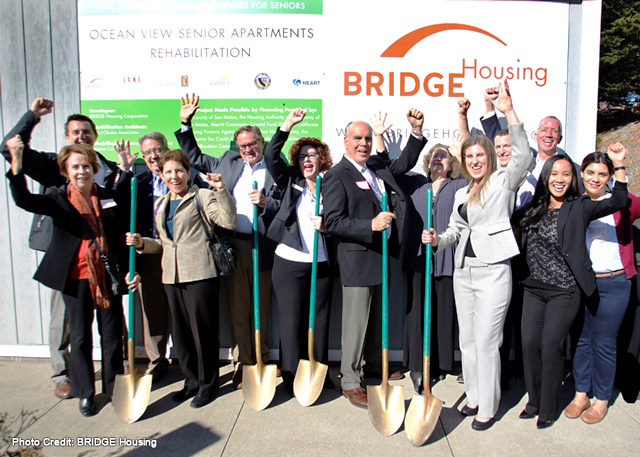 BRIDGE Housing bought the apartments in October 2015, and the preservation project will enhance the quality of life for existing and future residents of Ocean View. CalHFA provided bond financing with an 18-month acquisition/rehabilitation loan totaling more than $18 million, a 40-year permanent loan of $9.35 million and a $1.96 million subordinate loan to finance the acquisition and renovation of the property, as well as other financial considerations helping the buyers and sellers make the deal financially viable. Additionally, CalHFA worked with the US Department of Housing and Urban Development to secure waivers necessary to obtain rental assistance and ensure that all current residents could remain in their homes. CalHFA's flexible financing solutions, along with San Mateo County's and the Housing Endowment and Regional Trust's restructuring of the existing debt and low-income housing tax-credits, will ensure Ocean View's long-term affordability. The renovations will include switching to more efficient and better performing infrastructure systems, upgrades to residential units and replacement of aging building elements, ultimately enhancing residents' day-to-day quality of life. The recapitalization will also provide funding to enhance on-site services, giving residents access to free programs such as nutrition and wellness classes and referral services. CalHFA's Executive Director, Tia Boatman Patterson, recently joined two prestigious national boards. 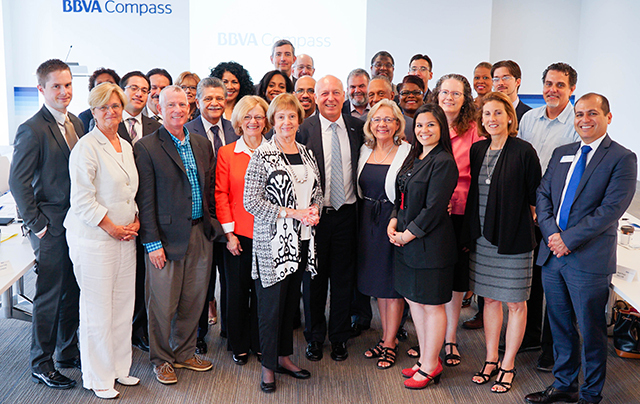 BBVA Compass's Community Advisory Board will provide guidance to the bank's executives as they help the bank better serve low and moderate income neighborhoods and residents, while improving its existing community development program. The 19-member board includes members with backgrounds across all the bank's business and locations. Boatman Patterson, who was recruited for her expertise in affordable housing and flexible lending options, is one of three members from California, including Ralph Lippman of the California Community Economic Development Association and Orson Aguilar of The Greenlining Institute. You can read more about the Board and its members in BBVA's press release. Tia was also elected to The National Council of State Housing Agencies Board of Directors, as the At-Large member of the Executive Committee. The nonprofit, nonpartisan organization represents the nation's Housing Finance Agencies, and helps coordinate advocacy efforts for affordable housing at the federal level. Boatman Patterson will be part of the Council's efforts to create an affordably-housed nation through advocacy and education. Lenders and brokers can now complete CalHFA training through our new online webinars. Each video walks you through one of CalHFA's loan programs and layering options. The videos provide information on our leads programs, marketing materials and how to provide the best options for your homebuyers. The videos range from 2 to 15 minutes apiece, and give details on everything from qualifications for each of the CalHFA loan programs from document draw to post-closing. We've provided an exam with each video as a verification of training to make sure you know us backwards and forwards. Once you've completed the exam with a passing score, you'll receive an email with your score as proof. The videos are available 24 hours a day—whenever it's convenient for you—making it easier to quickly become a master of CalHFA's lending products. 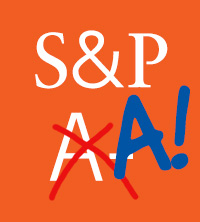 We got a wonderful New Year's present at the end of January, with the news that Standard & Poor's had raised our Issuer Credit Rating from ‘A-‘ to ‘A,' with a Positive Outlook. We're very pleased to have our hard work recognized, and are looking forward to a great 2016. Homebuyers can now use a mortgage broker to help them access CalHFA loan programs. Mortgage brokers are an integral part of the California mortgage market, and our products are priced the same for brokers and lenders. We're excited to work with Provident Mortgage as a wholesale lender to bring brokers on board and get them rolling with our great products. CalHFA released its annual report for the 2014-2015 fiscal year on October 30, which focused on the Agency's 40th anniversary. The public document includes audit information, statistical supplements and results of each division within the Agency, in addition to historical photographs and a timeline of important Agency milestones. CalHFA rolled out the first phase of our electronic document submission program in early January, after extensive development and beta testing. This new feature of the Mortgage Access System allows loan officers and brokers to submit all reservation documents via the internet, instead of cumbersome paper packages. The system has a built-in check that will not allow the submission of incomplete loan packages, which has already cut turn times on the front end of the process. Although there is the possibility of incorrect data being sent, electronic uploading makes communication and error-fixing easy too. Electronic submission will make processing loan submissions quicker and more efficient. We'll be adding more features to MAS in the coming months, and we'd love to hear your suggestions on ways to make it more user-friendly and helpful for your business!